Trisara, in Sanskrit "The Third Garden in Heaven" is a most special resort experience. 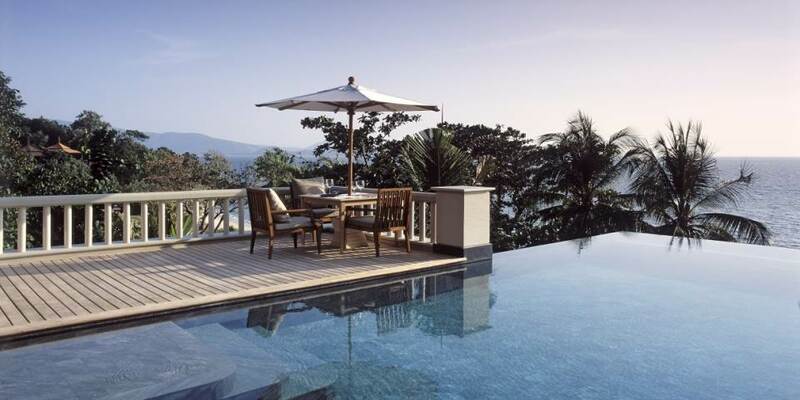 Wrapped in a tropical forest and exotic gardens, the villas and private residences are set on their own quiet bay on Phuket's sophisticated and natural north-western coastline, just 15 minutes from the airport. Phuket’s newest and most sophisticated dining experience, Trisara Seafood captures the atmosphere of elegant oceanfront dining, its unpretentious cool simplicity is reflective of the best Mediterranean seafood restaurants. The focus is on simple beautifully prepared food with the freshest seafood sourced both locally and from around the world. Set above the beach and shaded by tall coconut palms, The Deck open for fabulous breakfasts, cool lunches and romantic dinners has a delicious varied menu. Authentic Thai dishes and fresh western fare are prepared using fresh local organic products combined with the best international ingredients. Guests can spoil themselves and have a chef prepare and cook a private barbeque on the deck of their private pool. The Bar overlooks the ocean and main pool, with day beds and comfortable lounges to relax in, with cocktails and tapas renowned on the island, this is the best place to watch the daily sunsets. 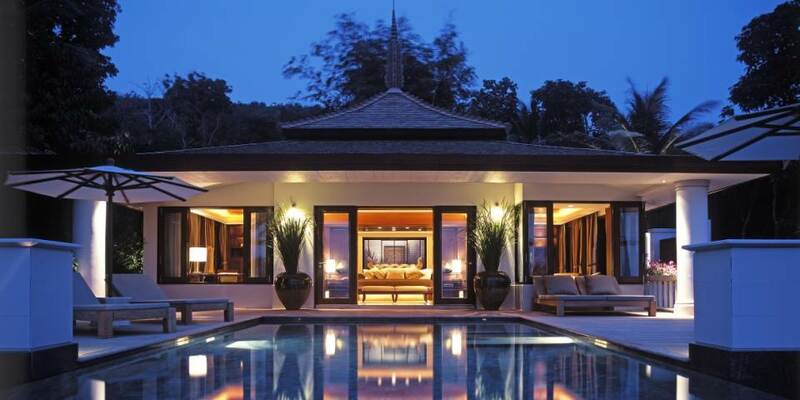 From lazy days around their private infinity pool to a 30 minute private helicopter flight over the World Heritage listed Phang Nga Bay, Trisara has a world of options to help shape guest’s experience on Phuket. Between the months of December and April complimentary non-motorised water sports including kayaks, windsurfing, sailing and snorkelling are on offer. Active guests may wish to spend time in the gym or play a game of tennis on one of the tennis courts, more adventurous might choose to have a lesson in Thai boxing or Muay Thai, the traditional martial art practice also known as kickboxing. Little ones may be entertained in Trisara Kids, located in a dedicated pavilion with a range of daily indoor and outdoor activities; it is supervised by qualified personnel. For total relaxation Trisara Spa offers a full range of treatments and massages, using the totally organic and natural Sodashi products for all of the exclusive body and facial treatments. Other healing therapies such as Reiki, sports therapies and Pilates are available. Meditation and Yoga are a speciality, with the seafront sala; a haven of tranquillity situated on the water’s edge and fringed with coconut palms. With 39 spacious ocean facing pool villas and 20 bedroom private residences which have 2 to 6 bedrooms, there is a luxury retreat for everyone. 12 Ocean View Pool rooms with their 4 metre plunge pools are perfect for couples, set high on the highest level of the resort they have wonderful sea views and catch the cool sea breezes. 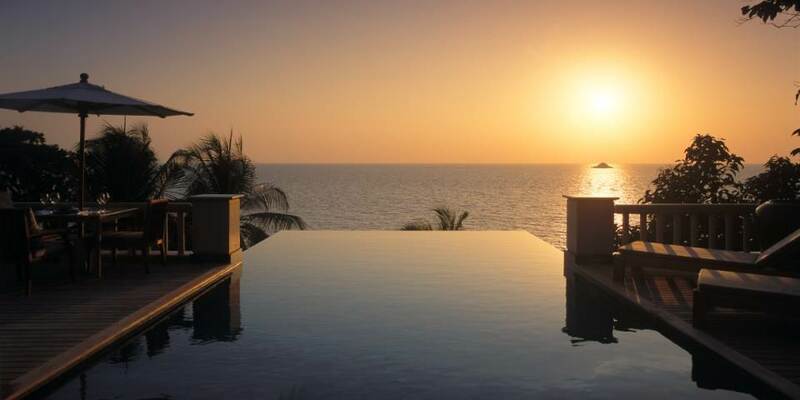 15 Ocean View Villas and the 7 most sought after Oceanfront Pool Villas offer 240 square metres of luxurious living space together with a 10 metre infinity pool. The 3 Ocean View Pool Suites each with a 9 metre pool are ideal for families with their separate living room which can accommodate children, it also has two bathrooms. 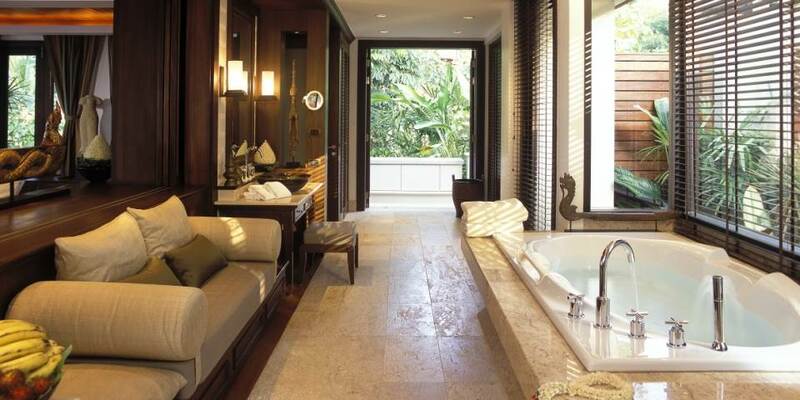 The 2 bedroom Ocean Front villas are also perfect for families or friends travelling together. 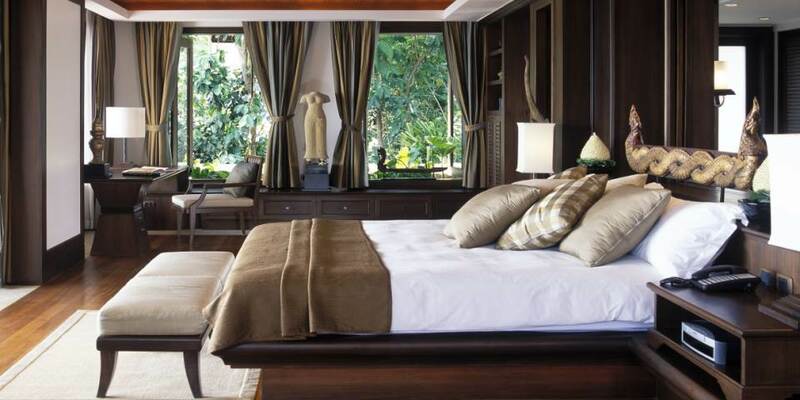 The ultimate in luxury and privacy are the Private Residences which range in size from 2 to 6 bedrooms. All are magnificently appointed, have large infinity pools and come with the services of a full time cook and housekeeper. Those wanting something a little bit more unusual should opt for The Boathouse, with 2 bedrooms and living spaces it sits above the gardens and sea frontage. Finished in rich teak, the architecture and interior design are spectacular, giving the ambience of being aboard a luxury yacht, complete with a 22 metre infinity pool and full time cook and housekeeper, it is the perfect hideaway.